Manipur Public Service Commission is going to take the written examination for 376 Section Officer & Deputy Manager Post. Participants can download Manipur PSC Admit Card 2019 from here. To attend the exam candidate must have their MPSC Manipur Hall Ticket 2019. Written examination for Section Officer & Dy. Manager is going to be held from 24.02.2019 to 02.03.2019. Department will issue call letters before 10 to 15 days of exam. For more details, applicants must read the given below article carefully. Fresh Update as on 23.02.2019: Applicants who are appearing for Section Officer exam can download their hall ticket from here. Participants can download Manipur PSC Admit Card 2019 from the link given here. Examianation will be held on 24.02.2019 to 02.03.2019. For more updates candidates stay in touch with us. Fresh Update as on 15.02.2019: Dear Aspirants, Manipur PSC Department is going to conduct written examination for 376 Section Officer & Other Posts. The Examination will take place on 24.02.2019 to 02.03.2019. Candidates may download their Manipur PSC Admit Card 2019 from links given here. In English & General Studies each question will be of 2.5 Marks. For every wrong answer 0.83 mark will be deducted in English & General Studies. In Engineering paper question contains 2 marks each. 0.66 marks will get cut for wrong answer. Firstly candidates log on to the official website i.e. mpscmanipur.gov.in. Now Click on Download Manipur PSC Admit Card 2019 link. Then, Log in your Account by using Application No. & Other Details. Check all the details in MPSC Manipur SO Hall Ticket, which is shown on screen. Finally, Take print out of Manipur PSC Call Letter 2019. Conclusion: Manipur Public Service Commission is organizing a written examination for 376 Section Officer & Dy. Manager Post. Candidates can download Manipur PSC Admit Card 2019 to get permission to sit in the examination hall. For more details applicants read the given article. Participants can download their MPSC Manipur SO Hall Ticket from the link given here. 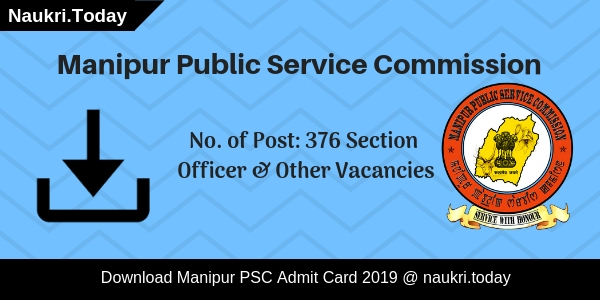 Manipur PSC Lecturer Admit Card 2015 :- Manipur Public Service Commission (MPSC) has announced Admit cards for the Lecturer (Higher Secondary School) Examination. Applicants who are going to write the exam can download their Manipur PSC Lecturer Admit Card 2015 from the official site at www.mpscmanipur.gov.in. Exam is to be conducted in the month of February 2015. Applicants can download their admit card from the official site by entering the Registration ID and DOB or Password in the dialogue box. Examination is going to be held for Lecturer (Higher Secondary School). Applicants who have applied for the Lecturer Exam 2015 can check out the simple procedure of getting admit card from below information. Name of the Organization :- Manipur Public Service Commission (MPSC). Name of the Exam :- Lecturer Exam 2015. Number of post :- 217 Posts. Date of Examination :- 22.02.2015 (Sunday). Time of Examination :- 11:00 A.M. to 02:00 P.M.
Admit Card Availability :- 12.02.2015. Manipur PSC has invited the online application on 217 Posts for various Subjects. Admit Card released by the department will comprise of many important details like Your Exam venue, Date, Time, Roll No, Center Code, Passport size colored photo and signature. 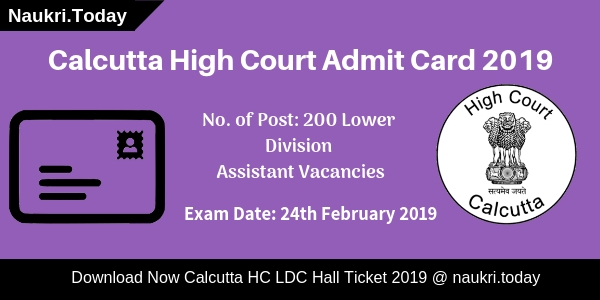 Candidates from that date can download their admit cards and it is very compulsory for the applicants to bring their admit card at the exam center as without it participants will not be allowed to enter in the exam hall. Candidates who are going to write the examination should check their exam dates on the admit card. Applicants should note down the call letter generating process through the below mentioned points. 1. Log on to the official site of Manipur Public Service Commission at www.mpscmanipur.gov.in. 2. Search for the link to download the Manipur PSC Lecturer Admit Card 2015. 3. Enter Registration ID and Password in the dialogue box. 4. Submit all the details carefully. 5. Take print out of the admit card. 6. Check Manipur PSC Lecturer Admit Card 2015 information Form Here. Manipur PSC Lecturer Admit Card 2015 for the exam going to be held on 22.02.2015 for 217 Posts. Admit Card will be released on 12.02.15.